Skeleton Sea is an environmental awareness campaign created from the perspective of a group of surfers and artists who depend of the sea to fulfill their passion for sport. The project consist in an interactive environmental awareness campaign generating a strong visual impact through the exhibition of mixed media installations, documentary films and recycling sculptures created around the world. Il 13 febbraio Ruan Smit d? inizio alla sua avventura in bici da Johannesburg, Sud Africa. Ha in programma di farvi ritorno dopo 10 settimane, il 14 aprile circa, dopo aver pedalato per 9000 km in bicicletta per tutto il Paese. Attraverso questa ambiziosa avventura Ruan vuole portare il proprio contributo per catalizzare l'attenzione su tutto quello che il Paese ha da offrire. Secondo il piano giornaliero, Ruan pedaler? per circa 150-200 km al giorno, documentando tutto via blog, Facebook, Twitter, la radio e la stampa. In one week, February 13, Ruan Smit will start his cycle adventure from Johannesburg, South Africa. He is planning to return to the same place 10 weeks later on April 14, behind approximately 9000 kilometers on bike around the country. Through this ambitious venture Ruan is willing to contribute in creating national and international awareness of what South Africa has to offer. The forthcoming host of the 19th FIFA World Cup, South Africa, has been listed in the developing world's 'Top 10 Best Ethical Destinations'. 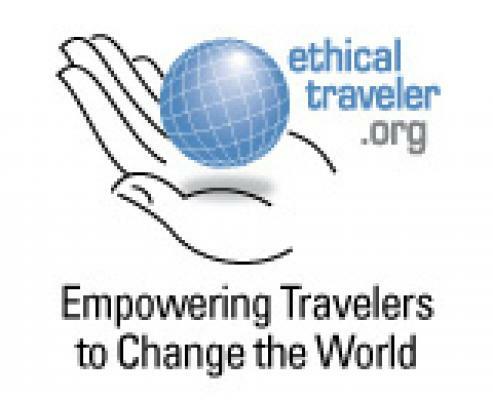 This list is published by Ethical Traveler, California-based non-profit organization 'empowering travelers to change the world'. The other most ethical destinations of 2009/2010 are; Argentina, Belize, Chile, Ghana, Lithuania, Namibia, Poland, Seychelles and Surinam.